NUEVA SEGOVIA, Nicaragua — He calls himself Tyson, wears tattered United States Army fatigues and carries a beat-up AK-47. That war ended more than 25 years ago, when Mr. Ortega lost at the polls. But since being re-elected in 2006, Mr. Ortega has come to rule over this Central American nation in sweeping fashion. He has developed the economy and minted new millionaires, but also outraged an array of opponents who condemn his tight control over elections, Congress, the police, the military and the courts. Mr. Ortega’s family, friends and allies enjoy newfound luxuries like beachfront homes and expensive cars. They control fuel companies, television stations and public construction projects, which has many critics comparing his family to the right-wing Somoza dynasty that Mr. Ortega helped topple in 1979. And now rebels are vowing to do the same to him. 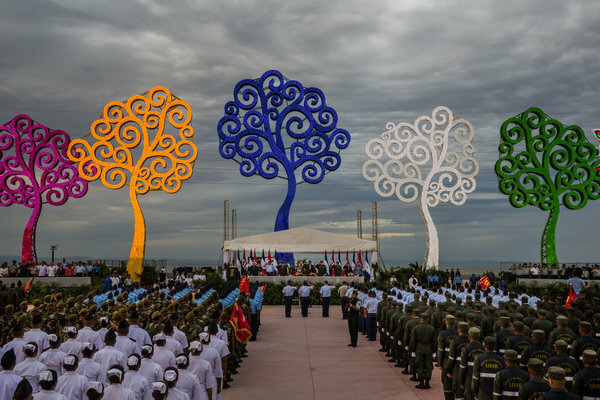 “Daniel Ortega wasn’t anything, and now he owns half of Nicaragua,” Tyson said. Though Mr. Ortega enjoys strong support among the poor, he was widely criticized for constitutional changes that repealed term limits, allowing him to run this year for a third consecutive term. Students, opposition politicians and other protesters flock to the elections board every Wednesday to rally against his consolidation of power. “It’s a legitimate social cause,” Gonzalo Carrión, the director of the Nicaraguan Center for Human Rights, said of the protests against Mr. Ortega. The government denies that politically motivated rebels in the country still exist, despite occasional attacks on police stations and the killings of Sandinistas and known contras. Even when a caravan of Sandinistas was attacked by gunmen after an anniversary celebration in 2014, leaving five dead and 19 wounded, the authorities blamed “criminal groups” for the massacre. Human rights organizations accuse the armed forces of a secret assassination campaign. Last summer, a man known as a rebel leader was ambushed and killed in his house. Two people were also killed last year when a backpack sent to rebels by a trusted courier exploded. The most notorious contra leader was gunned down in 2011, and his successor was found full of bullets in a ditch in Honduras a year later. “It is a silent, dirty war that is not recognized,” said Bishop Abelardo Mata, a Roman Catholic leader who has served as something of a mediator between the two sides. Without any nations backing the rebels, he added, some of them “have resorted” to raising money by working for drug trafficking organizations. In a video posted on Facebook last month, a rebel leader said at least 45 different groups had taken up arms and would attack state institutions until the Ortega administration held fair elections. But other rebels admit their numbers are dwindling. Recovering in a hide-out, the men said they had joined the rebels because they felt targeted for their conservative political beliefs, so they dug up rifles that had been buried for decades. Their mission, Mr. Lanzas said, often involves proselytizing about the newfound riches of the Ortega family and its associates. Venezuela has provided Nicaragua with hundreds of millions of dollars’ worth of oil a year on preferential terms, and the government acknowledges that much of it is invested in private companies closely tied to the Ortega family and its allies. The economic turmoil battering Venezuela may prove to be a much bigger threat to the Ortegas than the fledgling rebels. 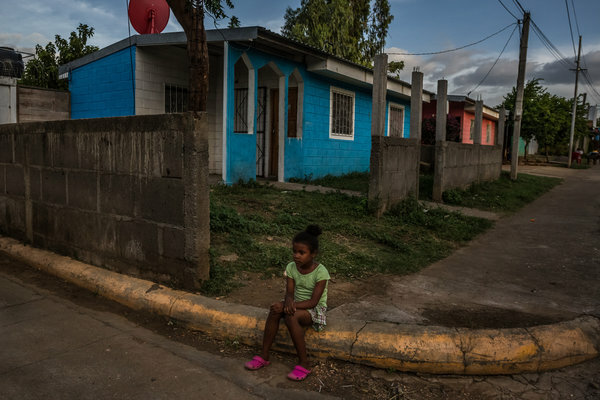 Even so, the oil that Nicaragua has already received in recent years has reshaped the image, and the lifestyles, of the leftist Sandinistas who overthrew a dictatorship in the 1970s. The head of the elections agency, Roberto Rivas, has a luxurious seaside house with a helipad. The home was once featured on the television show “House Hunters” and has been expanded considerably since then, news outlets reported. Mr. Rivas imported more than $400,000 in luxury vehicles in 2009 alone, the opposition newspaper La Prensa said. Mr. Ortega’s children and some of their spouses hold top leadership posts at television stations acquired by the government under murky circumstances. His daughter-in-law runs the national chain of gas stations that receives Venezuelan oil. One of Mr. Ortega’s sons, Laureano, who works for the government’s investment promotion agency, was photographed wearing a $47,000 Rolex. The Sandinista party treasurer, Francisco López, runs the state-owned oil company and a quasi-public entity that has doled out contracts to his own family company to build houses for the poor, Confidencial has reported. Like several other officials, Mr. López did not respond to requests for an interview. Mr. Obregón said he lost his job when he refused to sign a rosy audit of the company’s finances. The president’s office did not respond to repeated requests for comment. But Bayardo Arce, the president’s economic adviser, who was an original member of the Sandinista directorate during its first time in power, dismissed the issue of Sandinista wealth as a controversy manufactured by the opposition. Mr. Arce defended the use of Venezuelan oil money to fund private companies as a new way of using international development funds, no more improper than the millions of dollars in aid that the United States gives to Nicaraguan civic groups to promote democracy, human rights and governance. He said the Ortega administration must be doing something right. In January, the World Bank projected Nicaragua’s economy to grow by 4.2 percent in 2016, one of the highest rates in Latin America. Mr. Arce, a successful businessman, lives in a handsome home recently built on a 12-acre property confiscated during the war. Though middle-class protesters in the city and contras in the countryside are deeply skeptical of the wealth that has revolved around Mr. Ortega, polls show that the president enjoys strong support. It is no wonder: 38 percent of the Venezuelan oil is used to fund social projects. More than 35,000 houses have been distributed among the poor in the past two years, according to a government website. World Bank statistics show that the poverty level dropped six percentage points from 2005 to 2009. “He might have an expensive car, but the other presidents before him had their luxuries but did not help the people,” Veronica Aguilar, 55, said of Mr. Ortega. Ms. Aguilar said she met Mr. Ortega in person when she signed up for Houses for the People, a government program that distributes houses to the poor at favorable prices. “He came over and said ‘Hello,’ like he knew me!” she said. Her experience underscores the difficulty the rebels face. Few people have a stomach for more war. Many low-income people have benefited from Mr. Ortega’s administration and are hardly bothered by complaints about its excesses. “I won the lottery!” said Ileana Rivas, 62, Ms. Aguilar’s neighbor. She said she got her house by calling a government agency — and the first lady called her back personally. The rebels are not buying it. In a sign of the new allegiance the socialist administration has to the country’s richest people, the government has lifted import taxes for luxury items like yachts and helicopters.